SALINA, Kan.—The Greater Salina Community Foundation is accepting applications for grants from the Assaria Community Fund. Grants will be awarded to charitable projects that improve the quality of life for citizens in Assaria, Kansas. Online applications open April 15, 2018, and are due June 1. Requests may not exceed $1,500. 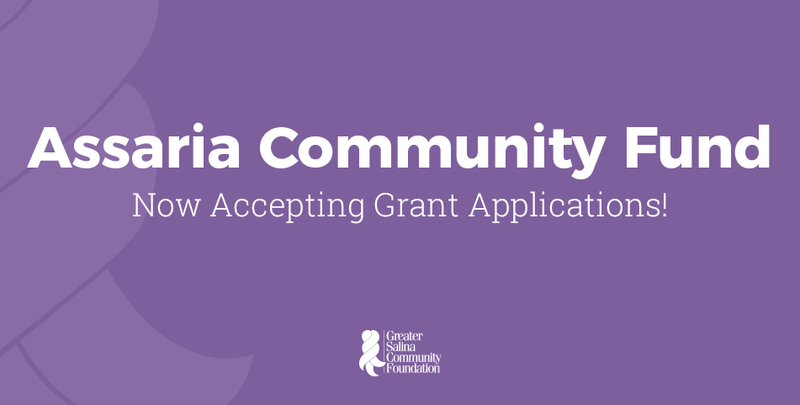 More information and application instructions are available at http://gscf.org/search-apply-for-a-grant/.